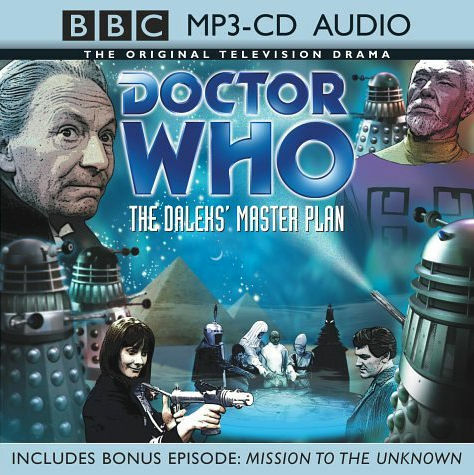 Note: This is an audio soundtrack of the TV story, with linking narration by Peter Purves. Not to be confused with the novel reading of the same story released in 2011. Subsequently remastered and re-released as part of The Lost TV Episodes: Volume Two box set. Note: Also includes bonus data content on one of the CDs: the un-narrated episodes in MP3 format, the full script in PDF format, and before-and-after restoration samples. In their quest to gain control of the Solar System, the Daleks have taken posession of the Time Destructor, a weapon which threatens the safety of all who stand in their way. They have formed an alliance with the Outer Galaxies, all of them bent on destroying the human race, and called a council of delegates to their base on the planet Kembel. In their midst is none other than Mavic Chen, treacherous Guardian of the Solar System. 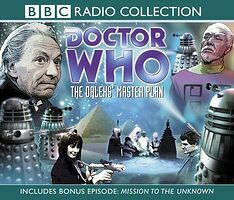 Also included in this release is Mission To The Unknown, a single episode 'teaser' which sets the scene for the incredible twelve-part adventure. Note: Does not contain the bonus data content included on the CD edition. 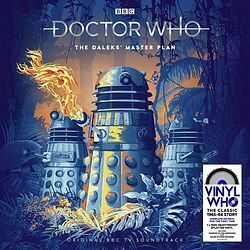 The Daleks threaten to destroy the fabric of time itself in this exclusive recording of an epic lost adventure starring William Hartnell, with linking narration by Peter Purves. The Daleks have taken possesion of the Time Destructor, a weapon which threatens the safety of all who stand in their way. They have formed an alliance with the Outer Galaxies, all of them bent on destroying the human race, and called a council of delegates to the planet Kembel. In their midst is Mavic Chen, treacherous Guardian of the Solar System. Also on this MP3 CD is Mission to the Unknown, a single episode teaser which sets the scene for the incredible twelve-part adventure. Note: Pressed on blue vinyl. The "prequel" episode Mission to the Unknown is included as one of the seven discs but only takes up one side — the reverse is etched with a TARDIS design. Note: Amazon-exclusive edition of 1,000 copies. 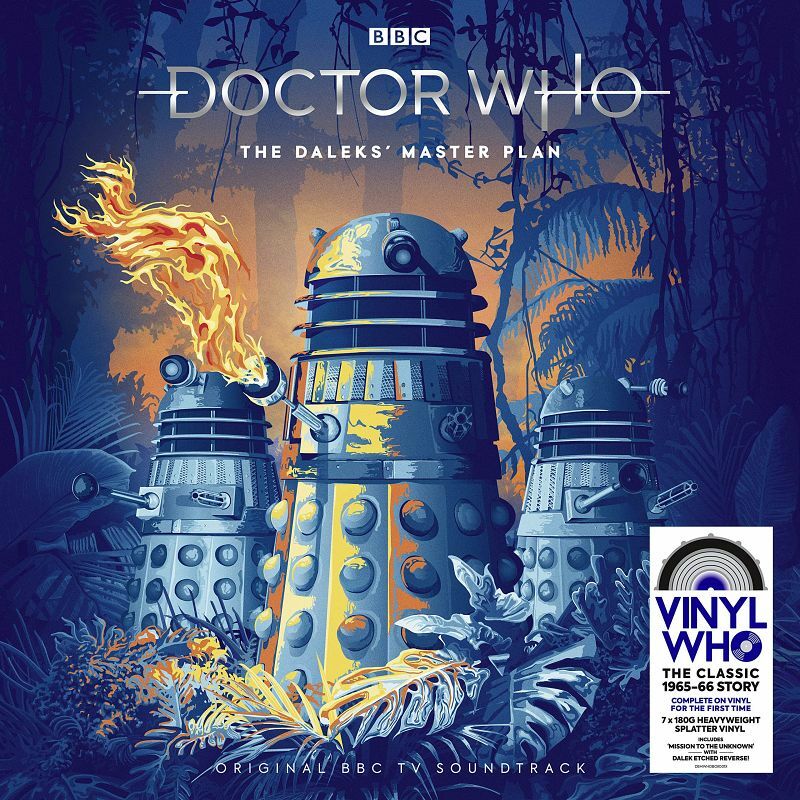 The difference is that the discs are instead pressed on orange vinyl and the rear of the Mission to the Unknown disc contains a Dalek etched design.